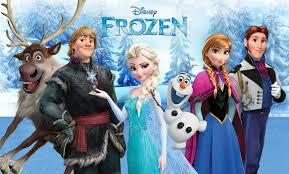 Call Us if you don`t see yours!!! 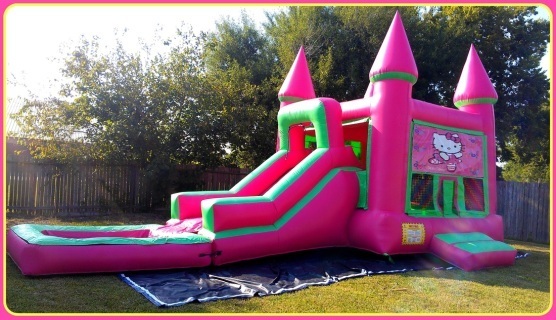 Famous Inflatable Rentals and party rentals now offers special package deals for your convenience, if you are just looking for inflatable rentals or just party rentals click on the pictures bellow for inflatable rentals or any other equipment of choice. 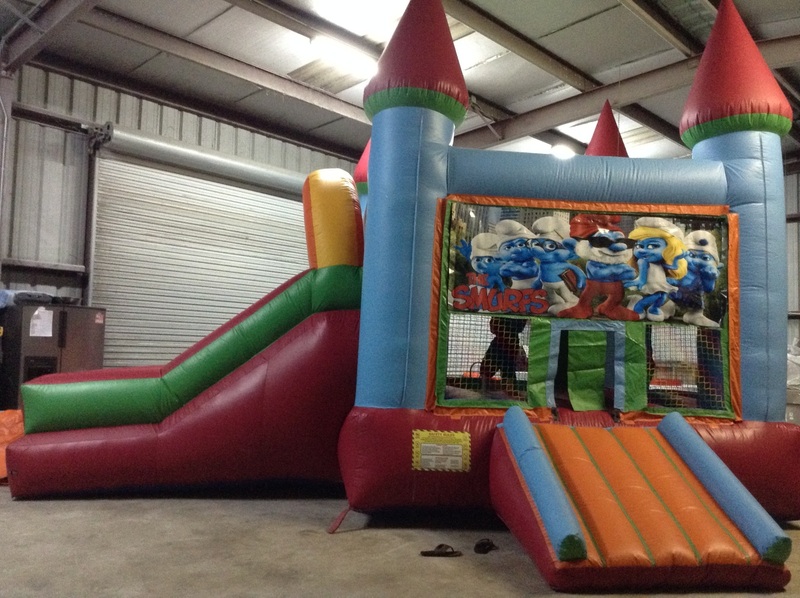 Inflatable Rentals are not just fun, but a tradition in every birthday party or family gathering in the greater Houston area. Our Inflatable Rentals are clean, sanitize and ready for delivery, with that in mind, do not forget to call us to book your inflatable rentals and make your next birthday party unforgettable. WATER SLIDE RENTALS IN HOUSTON IS THE WAY TO GO FOR YOUR NEXT EVENT !!! 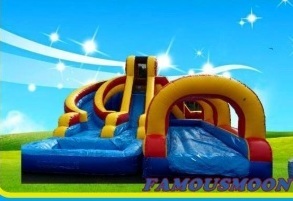 Famous Inflatable Rentals and party rentals now offers special package deals for your convenience, if you are just looking for inflatable rentals and not the bundles visit our Water Slide Rentals page and select the inflatable rentals of choice. This 18 foot round carousel bounce house rental is the perfect gift for a carnaval theme birthday party. With this classic 18 foot round Mickey Mouse birthday cake bounce house rental, your next party will be unforgettable. Bounce house rentals, dry slide, basketball hoop, 2 tables, 12 chairs & snow cone m.
Bounce house rental, dry slide, basketball hoop, 2 tables, 12 chairs, snow come m. & cotton candy m.
This fun unit comes with 2 sets of inflatable gloves, Perfect for a birhtday gift. 6 to 8 hours rental. 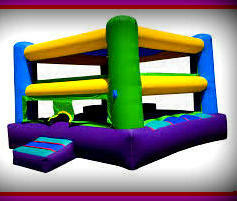 Bounce house rental, dry slide, basketball hoop, 2 10x10 canopies, 4 tables and 24 chairs. 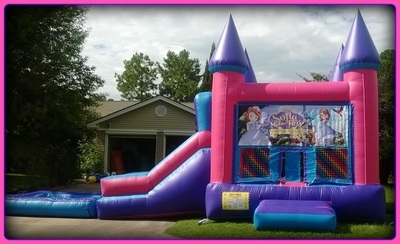 Bounce house rentals, dry slide, basketball hoop, 2 tables, 12 chairs and 1 cotton candy m.
16 foot tall back loader dry or wet slide. This inflatable slide can be set as a pool slide or dry slide. 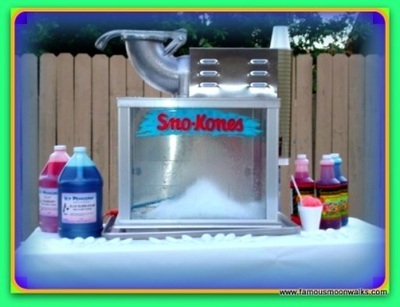 16 foot tall Helix triple lane with Slip & slide, snow cone m. and cotton candy m. perfect combination for the hot summer days! 22 Foot tall single wide lane water slide with pool, 1 cotton candy m. and a popcorn m. Best inflatable water slide rental to feed your tropical fever. Water Slide Rentals Houston. 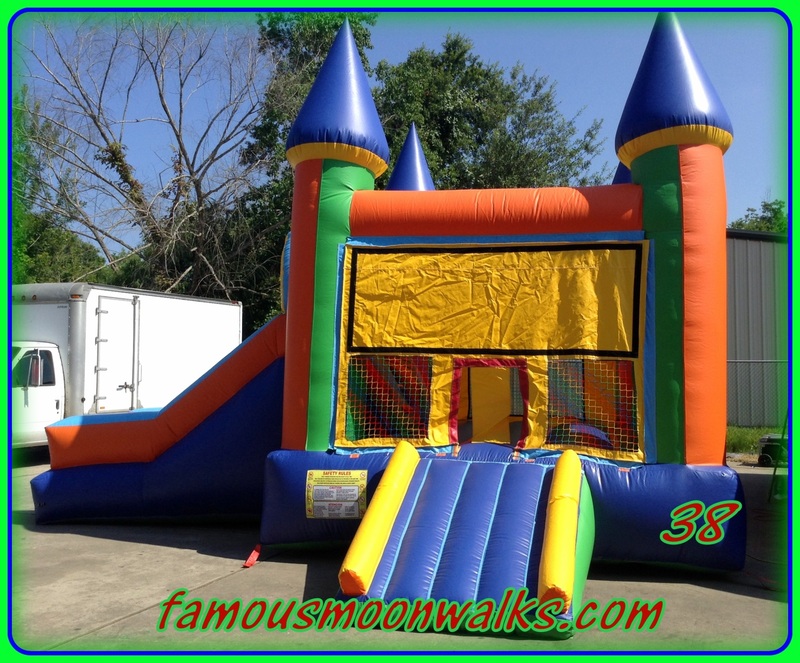 Moonwalk Rentals Houston has 3in1 combos inflatable moonwalk,rentals ready for delivery and set up in Houston tx and surrounding cities. 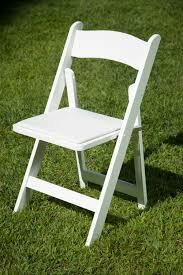 You can get this 3in1 moonwalk rental by itself or bundled up with tables, chairs and concessions. "WATER SLIDES & COMBO UNITS"
Moonwalk, wet slide, pool, basketball hoop. 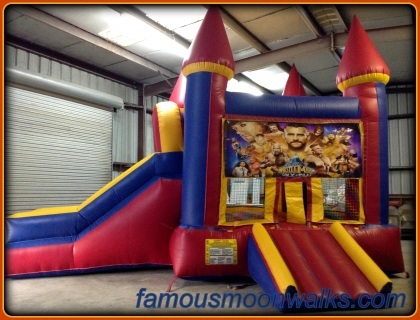 Moonwalk Rentals Houston offers a variety of 3in1 Inflatable moonwalks for rent in Houston. with a big selection of girl colors 3in1 moonwalk rentals as well as boy colors 3in1 moonwalk rentals, we are sure you will find the best combination for your event. Our moonwalk rentals are cleaned and sanitized after every party rental. 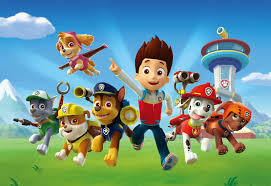 so with that in mind, rest assure you will get the cleanest moonwalk rentals each time you rent from us. Our moonwalk rentals are ready for delivery in the greater Houston area and surrounding cities. 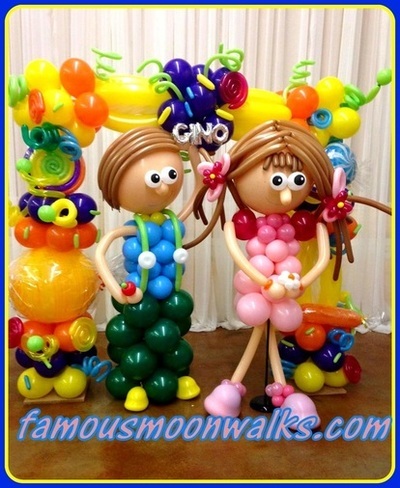 Famous Moonwalk Rentals has been catering local parties since 2010 and We are committed to continue to do so at a reasonable price. 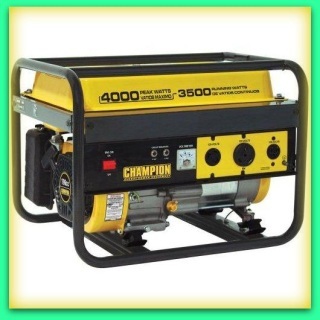 Furthermore, Famous moonwalk Rentals has provided it`s services to non=profit organizations and churches at a discounted rate to help local communities around the Houston area. 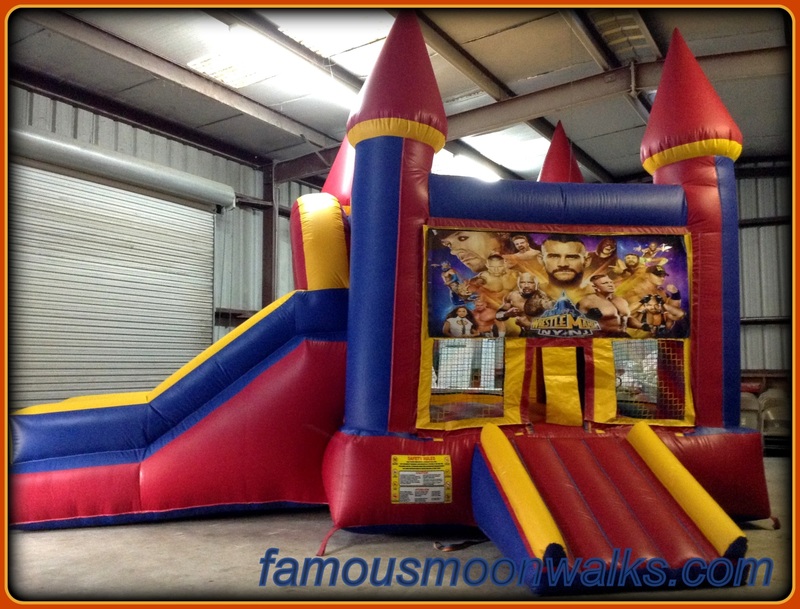 Our moonwalk rentals are about 80% new, so if you rent from us, We promise, you will get a great looking inflatable rental for your next event or gathering. Thanks in advance for the opportunity to serve you. Famous Moonwalk Rentals Houston has inflatable moonwalk rentals ready for delivery and set up in Houston tx and surrounding cities. You can get this moonwalk rental by itself or bundled up with tables, chairs and concessions. Famous Moonwalk Rentals offers this monster truck moonwalks for rent in Houston. with a big selection of girl colors moonwalk rentals Houston as well as boy colors moonwalk rentals Houston, we are sure you will find the best combination for your next event. 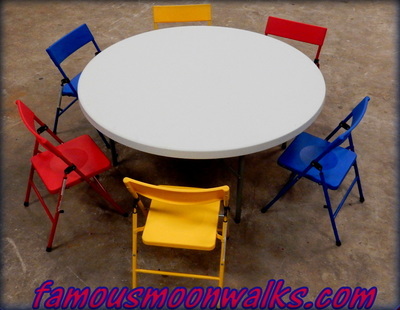 Our moonwalk rentals Houston are cleaned and sanitized after every party rental. so with that in mind, rest assure you will get the cleanest moonwalk rentals Houston each time you rent from us. Our moonwalk rentals Houston are ready for delivery in the greater Houston area and surrounding cities. up with tables, chairs and concessions. click on the picture or link bellow for prices and details. 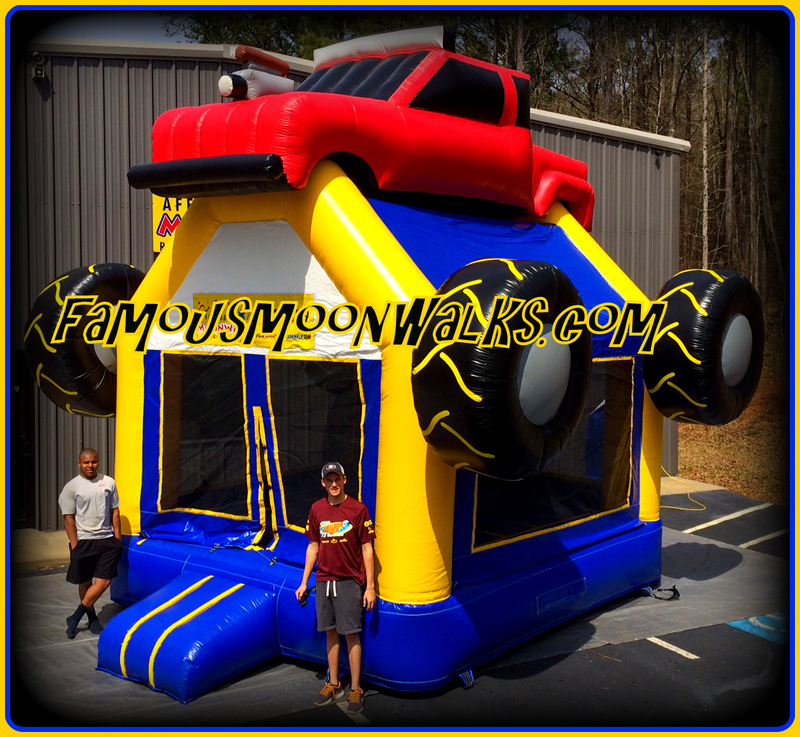 Famous Moonwalk Rentals offers this monster truck moonwalk for rent in Houston. 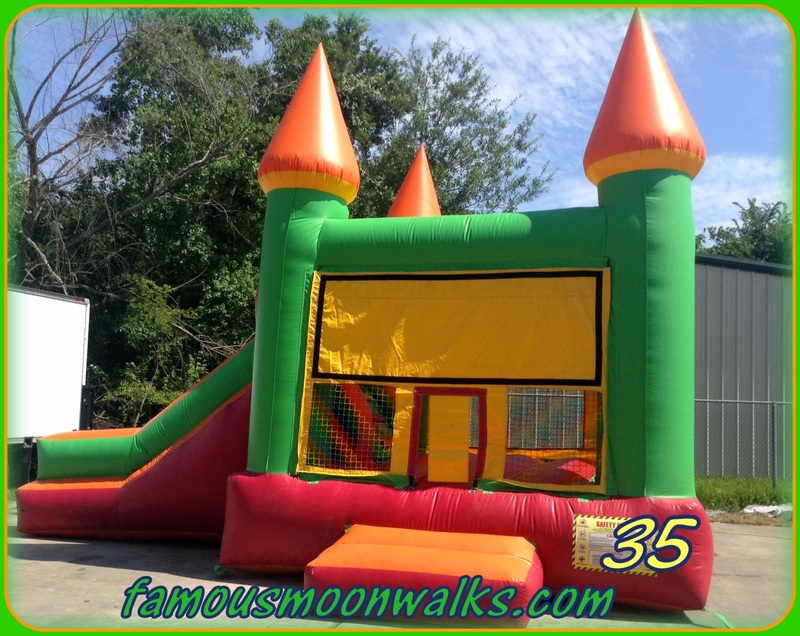 with a big selection of girl colors moonwalk rentals Houston as well as boy colors moonwalk rentals Houston, we are sure you will find the best combination for your next event. 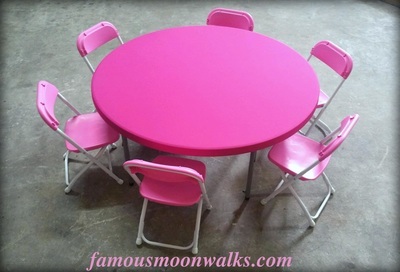 Our moonwalk rentals Houston are cleaned and sanitized after every party rental. so with that in mind, rest assure you will get the cleanest moonwalk rentals Houston each time you rent from us. 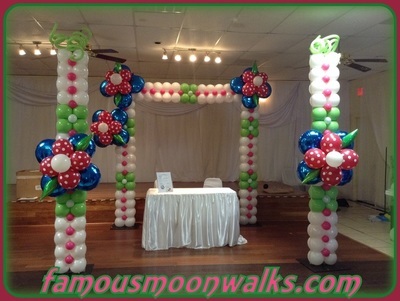 Our moonwalk rentals Houston are ready for delivery in the greater Houston area and surrounding cities. 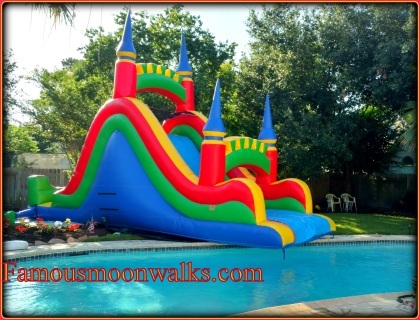 Moonwalk Rentals Houston has inflatable moonwalk rentals ready for delivery and set up in Houston tx and surrounding cities. You can get this moonwalk rental by itself or bundled up with tables, chairs and concessions. Click on the picture or link bellow for prices and details. 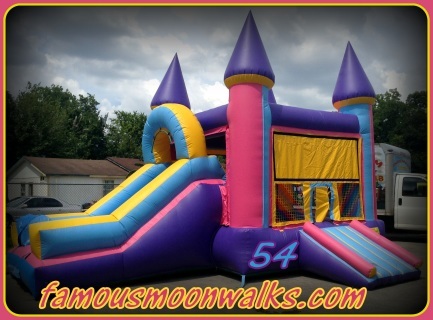 Moonwalk Rentals Houston offers one of the biggest selections of moonwalks for rent in Houston. 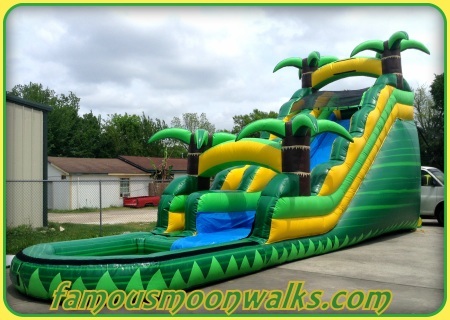 with a nice selection of girl colors moonwalk rentals and water slide rentals as well as boy colors moonwalk rentals and water slide rentals, we are sure you will find the best combination for your event. Our moonwalk rentals are cleaned and sanitized after every party rental. so with that in mind, rest assure you will get the cleanest moonwalk rentals each time you rent from us. 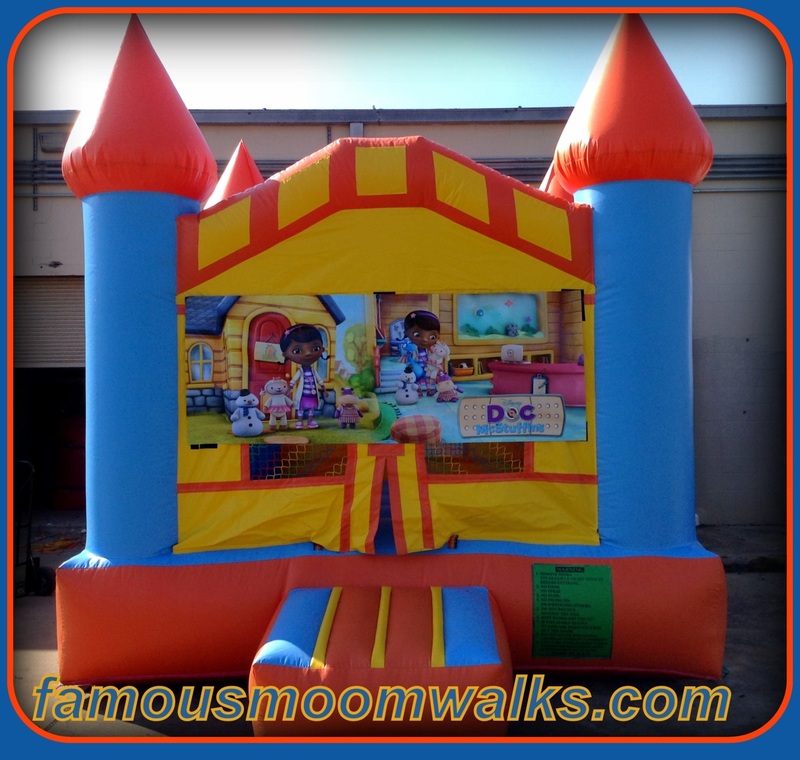 Our moonwalk rentals are ready for delivery in the greater Houston area and surrounding cities. Famous Moonwalk Rentals has been catering local parties since 2010 and We are committed to continue to do so at a reasonable price. Furthermore, Famous moonwalk Rentals has provided it`s services to non=profit organizations and churches at a discounted rate to help local communities around the Houston area. Our moonwalk rentals are about 80% new, so if you rent from us, We promise, you will get a great looking inflatable rental for your next event or gathering at a very competitive price. Thanks in advance for the opportunity to serve you. Famous Tent Rentals offers affordable tent rentals in Houston, Our prices include set up and take down of our tent rentals. Side curtains are available for an additional $50. 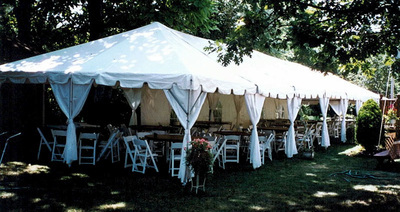 Let Us know if you need curtains with your tent rental when booking. Thanks! 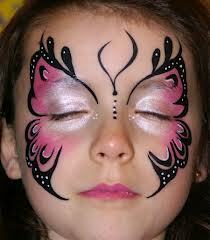 Famous Houston Tent Rentals prices INCLUDE FREE delivery and pick up. Orders must be a minimum of $150.00 and within 20 miles of our location to qualify for free delivery and pickup. 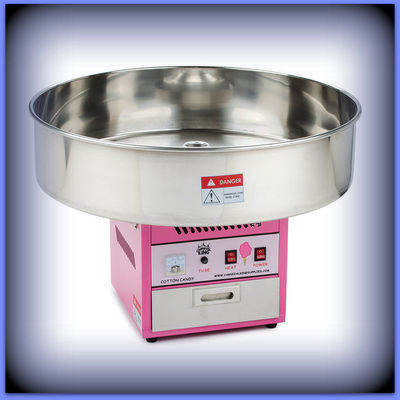 If an order does not meet the $150.00 minimum and within 20 miles, there will be a nominal delivery/pick up fee. we require a 1 week notice and see our fee schedule below for prices. ALL frame and marquee tents must be installed by us and the price listed includes set up and breakdown. 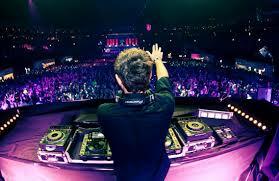 Here at Famous Moonwalk Party Rentals, We believe that we should provide a quality show for a fair price. Your guests probably will not remember the entrée that was served or how many guests attended the event, however, With more than 4,000 songs in our library they will definitely remember that they danced the night away! Here is a chart of our prices for your convenience! 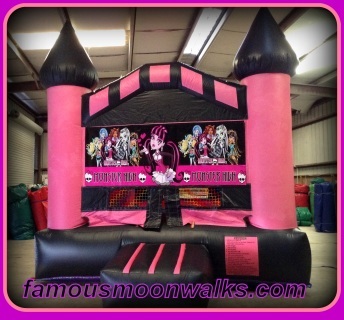 Our mission is to provide your event with awesome moonwalk rentals. With our inflatables rentals, it is just as entertaining to watch as it is to participate.The moonwalk rentals we provide include free delivery and set up. 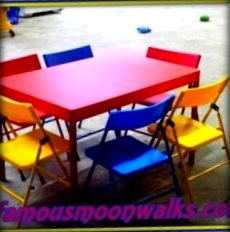 Famous Moonwalk Rentals and party rentals can also provide operators for your party, picnic, or event. 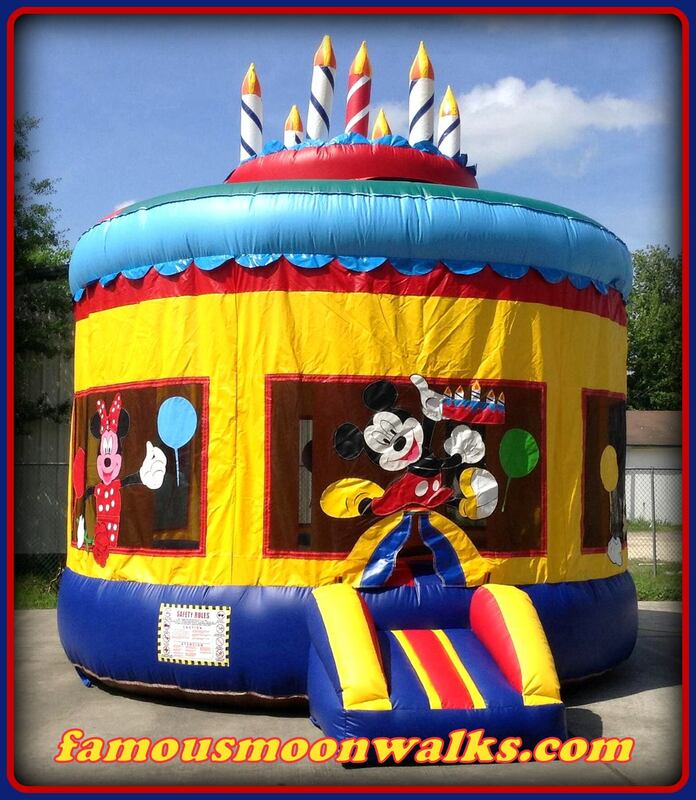 Birthday parties come alive with Moonwalk rentals,water slide rentals and concessions. Boring birthday parties and picnics are a thing of the past. Moonwalk Rentals Houston offers one of the biggest selections of moonwalks for rent in Houston. 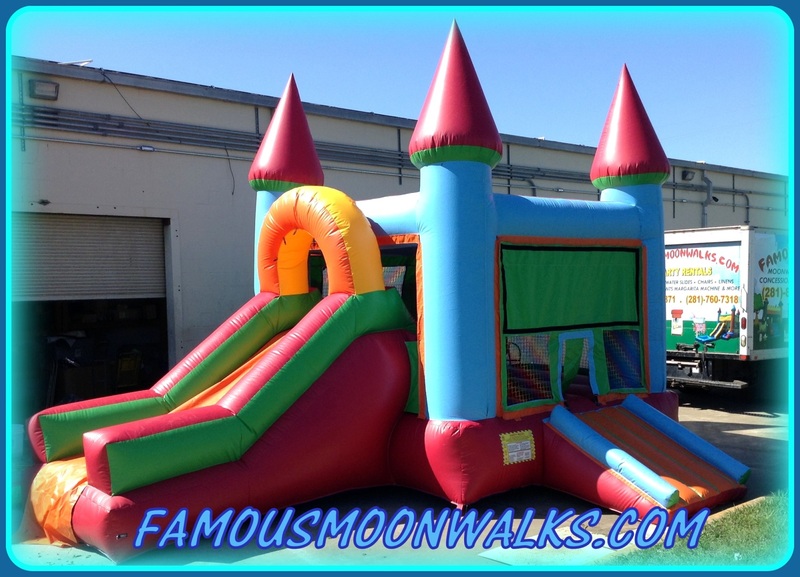 with a nice selection of girl colors moonwalk rentals and water slide rentals as well as boy colors moonwalk rentals and water slide rentals, we are sure you will find the best combination for your event. Our moonwalk rentals are cleaned and sanitized after every party rental. 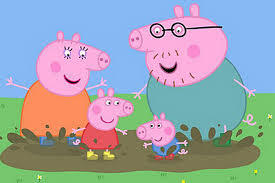 so with that in mind, rest assure you will get the cleanest moonwalk rentals each time you rent from us. 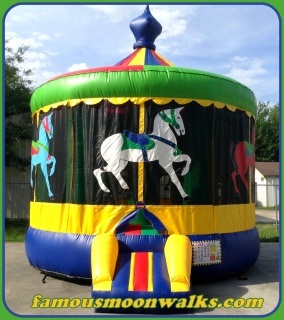 Our moonwalk rentals are ready for delivery in the greater Houston area and surrounding cities. Famous Moonwalk Rentals has been catering local parties since 2010 and We are committed to continue to do so at a reasonable price. 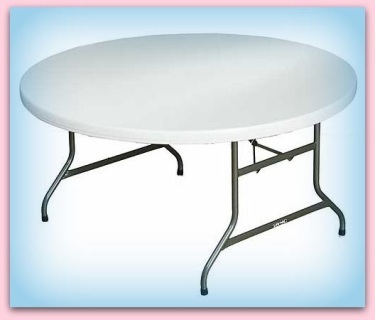 Furthermore, Famous moonwalk Rentals has provided it`s services to non=profit organizations and churches at a discounted rate to help local communities around the Houston area. 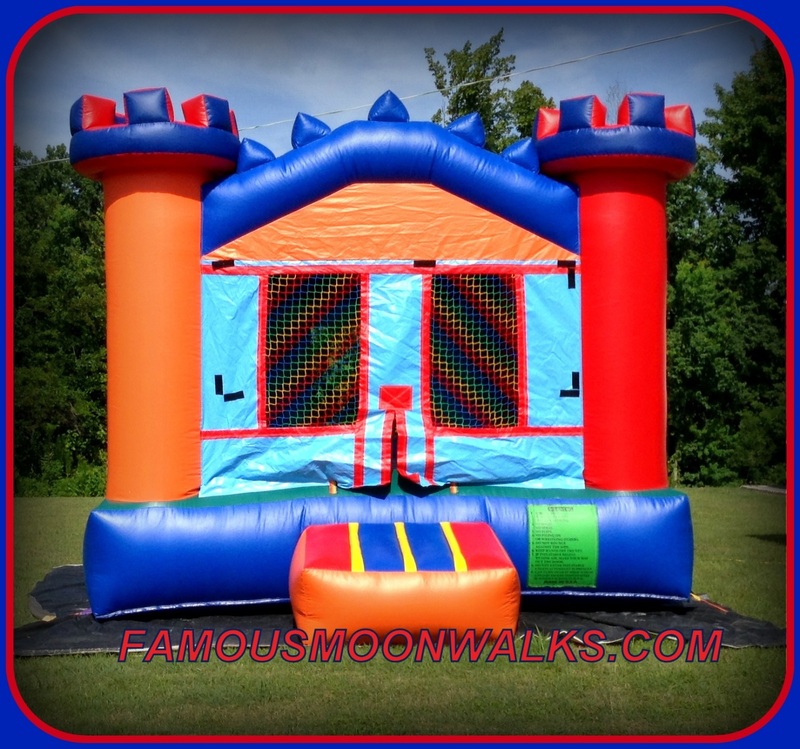 Our moonwalk rentals are about 80% new, so if you rent from us, We promise, you will get a great looking inflatable rental for your next event or gathering at a very competitive price. Thanks in advance for the opportunity to serve you!